In 1912, the polar explorer and scientist Fridtjof Nansen published an article entitled "Bottom Water and the Cooling of the Ocean", in which he discussed the origin of the deep water in the North Atlantic south of the Greenland-Scotland Ridge (Nansen 1912). It was known at the time that dense water spills over the ridge system, both through Denmark Strait and between Iceland and the Faroes. Nansen argued, however, that these sources were insufficient to ventilate the vast body of deep water in the North Atlantic basin. He postulated, therefore, that open-ocean convection must be occurring south of the ridge. 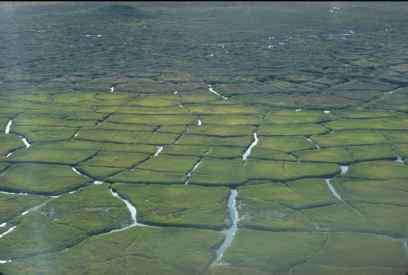 Furthermore, he suspected that this process was taking place in the Irminger Sea, east of Greenland. He noted that the cyclonic circulation in the Irminger basin (originally documented by Knudsen 1899) would help keep restratifying waters at the fringes, and that the center of the gyre, where the circulation was weak, would be conducive for deep convection. were collected outside the immediate area of interest. To his credit Nansen noted this and admitted that his conclusions were tentative. Nonetheless, he stated in the paper that "it is safe to assume that a significant part of the bottom water of the Northern Atlantic Ocean is created in this area." 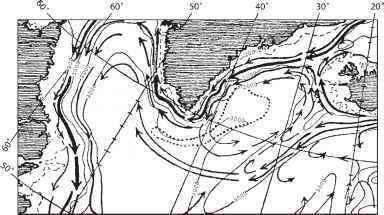 Figure 26.1 shows Nansen's schematic circulation of the western North Atlantic, and the region where he believed wintertime convection took place. It is worth noting that the April 1906 data that Nansen used were collected during an extended positive phase of the North Atlantic Oscillation (NAO), which means that the conditions were likely favorable for con-vective overturning in the western sub-polar gyre (e.g. Dickson et al. 1996). In addition, one of the 1906 stations was located very close to the A1E line of the World Ocean Circulation Experiment (WOCE) within the Irminger gyre. Data from this same area collected in April 1991 - during another high-NAO period - were used to argue that deep convection occurs in this vicinity (Pickart et al. 2003a). Some 21 years after Nansen's article was published, a late-winter cruise to the Irminger Sea was carried out on the German survey vessel Meteor. This was the first wintertime survey of the area, and one of the expressed goals was to evaluate Nansen's ideas regarding convection in the Irminger Sea (Defant 1936). A follow-on winter cruise was conducted 2 years later. Based on the vertically uniform distributions of temperature and oxygen from stations occupied during these cruises, to the south and southeast of Cape Farewell (southern tip of Greenland), Wattenberg (1938) concluded that "there can be no doubt that Nansen's opinion voiced in 1912 is accurate." Wüst (1943) later analyzed the density data from the 1933 and 1935 winter cruises and highlighted evidence of overturning to 2,000 m due to the near-zero stratification. He noted that this provided "evidence for the correctness of Nansen's hypothesis." It seems clear then that in the early part of the last century the oceanographic community believed that deep overturning and ventilation occurred southeast of Greenland (additional studies using summertime data supported this notion as well, for instance, Baggesgaard-Rasmussen and Jacobsen 1930; Smith et al. 1937). However, a few years before the German Meteor expeditions to the Irminger Sea, evidence was published that deep convection also occurred in the Labrador Sea (Nielsen 1928). In fact, Nielsen stated that the Labrador Sea was where "the greater part of the bottom water of the North Atlantic is then evidently formed", which seemed to contradict Nansen's (1912) earlier conclusions. Following Nielsen's (1928) study, the US Coast Guard carried out a series of summertime cruises to the Labrador Sea, from 1928 to 1935. Results from these expeditions were reported by Smith et al. (1937), who were the first to distinguish between intermediate water (which today is known as Labrador Sea Water) and deep and bottom waters. Smith et al. (1937) noted that intermediate water seemed to be formed in the Irminger basin; however, since the German Meteor results were not yet published, Smith et al. (1937) did not comment much further about the situation east of Greenland. They did argue that bottom water was formed via vertical convection only in the Labrador Sea, and their schematic highlighted an isolated area in the central Labrador Sea where this supposedly happened. Since the community was emphasizing bottom water formation at the time, the results of Smith et al. (1937), which were based on extensive profile data, likely had a big impact. Despite the fact that published papers showed evidence of open-ocean convection on both sides of Greenland, subsequent studies of deep overturning in the western North Atlantic over the following decades were focused primarily on the Labrador Sea (e.g. Lazier 1973; Worthington 1976). It is known today that the Labrador basin is indeed the primary source of sub-polar mode water in the North Atlantic (e.g. Talley and McCartney 1982; Rhein et al. 2002). However, it is both interesting and curious that the notion of convection in the Irminger Sea fell completely out of favor. For example, this idea was discounted during planning stages of the North Atlantic WOCE experiment. In recent years, however, the notion has been re-kindled in a series of studies (Pickart et al. 2003a, b; Straneo et al. 2003; Bacon et al. 2003; Falina et al. 2007; Vage et al. 2008). In fact it has been argued that during strong positive phases of the NAO, the Irminger Sea may be a significant source of subpolar mode water (Pickart et al. 2003b). If this is the case, then it means that there is a second location, outside of the Labrador Sea, where the atmosphere communicates directly with the deep ocean. This in turn might influence the meridional overturning circulation. It would also require us to revisit Labrador Sea Water formation rates and ventilation times, and compel us to interpret both observations and modeling results in a new perspective. Group 1998). These and many other smaller programs have greatly enhanced our understanding of the convective process in the North Atlantic sub-polar gyre. However, new revelations about the meteorology around southern Greenland, together with recent oceanographic station data and mooring time series, have called into question the notion of a Labrador Sea-only source of sub-polar mode water. The evolution and dynamics of the atmospheric phenomena associated with the high orography of Greenland are different than those for the western Labrador Sea, and the spatial scales are significantly smaller and hence not sufficiently captured in low-resolution meteorological fields. The chapter begins with a brief consideration of convection in the western Labrador Sea. This is followed by a review of the atmospheric patterns associated with southern Greenland, various aspects of which are still emerging. In the remaining part of the chapter we address the ability of the intense winds in this region to force convective overturning in the eastern Labrador Sea and the western Irminger Sea. The ultimate question to be answered is, do these small-scale wind events have a large-scale climatic impact on the ventilation of the North Atlantic?